MASKerade: CASology 46 - Furry! 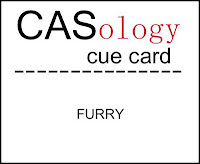 Today's CASology Cue Card is Furry! Finally I came this little polar bear that came as part of a Michael's Christmas set (you know the "high quality" stamps that come with those "high quality" little ink pads and glitter glue as a kit and are finally worth the price once they're 85% off!). Now it's your turn. I can't wait to see where this one takes you - I'm picturing mink coats and unshaven legs! lol! And we've got a sponsor this week - Paper Smooches - see all the details on CASology! Be sure to stop by the blogs of the other members of the design team to see their 'furry' cards! Be sure to drop by tomorrow for a special day - there's a hint in the title of today's post! Okay. Completely cracking up about the unshaven legs! Love your sweet little bears! This is adorable Ardyth, I did not know those facts about polar bears! Sounds like a fun challenge! Seriously, black skin and clear fur? Whooda thunk it? Certainly not I! You are the ONLY person I know that can stamp 12 images...yes 12...on a card and beautifully and expertly maintain a fabulous clean and simple design! Truly another fabulous 'Ardyth' card! What a sweetie he is, all 12 of him. And beautifully aligned. Great card, Ardyth. Another lovely CAS card! Love that polar bear stamp! All sweet polar bears Ardyth, love there Christmas scarves! 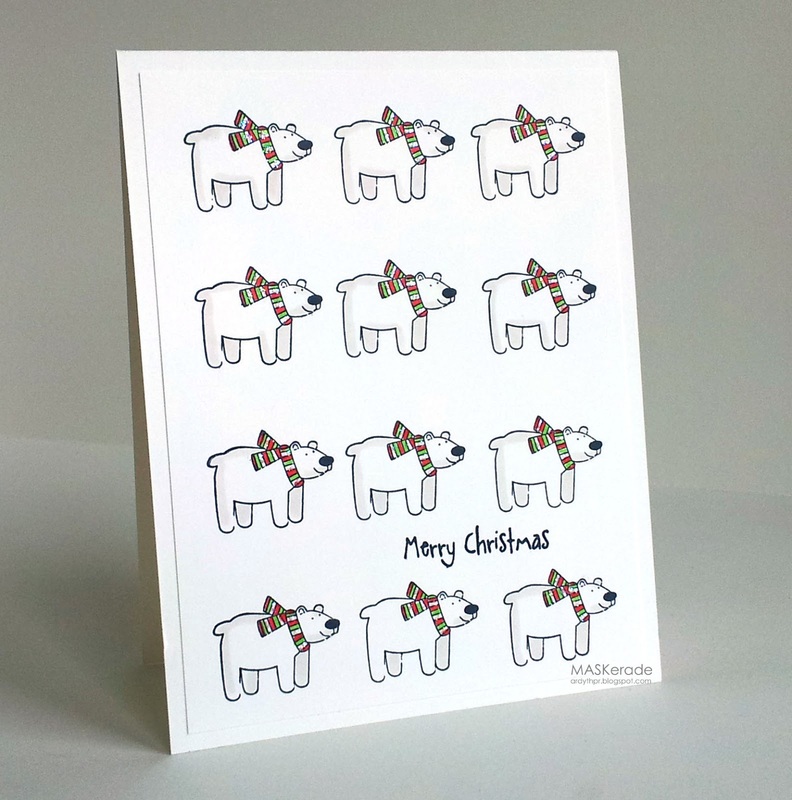 What an adorable card; I'll echo the others - only you can place 12 bears on a card and still wind up *cas* Impressive!! Scarves, bears - perfect card for Christmas - adding to my *must try* notebook! That is so great making 12 of him. One would indeed be lost. I learned something new today with the polar bear facts! Who'd have guessed?! Oh my goodness, this is too cute! I love all your sweet little polar bears with their adorable little scarves on, just so fun! I hadn't thought about the consequences of googling furry but yep I could see the dangers ..Lol. Oh, I just love this sweet polar bear...and I love your repeat stamping! Such a fun card, and so 'You'! Thanks so much for the trivia on them...I love to learn little things like that! fun take on the cue word, ardyth! I hope you had a wonderful birthday!! Oh, Ardyth, you never cease to amaze! How adorable are these bears (and who knew all ths epoalr bear facts?)! Best wishes for a wonderful birthday, too...hope you are enjoying the blogging festivities!